Popcorn Time is a popular platform that allows people to access vast swathes of movies, TV shows, video contents without paying for it. However, you are not going to find it in the Apple app store as it's a controversial program. Where to get Popcorn Time for iPad and how to use it? For beginners, here we will show you how to download and install Popcorn time on iPad (iPad Pro/mini 4/Air 2) with/without jailbreak to ensure uninterrupted playback of 480p, 720p and 1080p movies and TV shows. MacX Video Converter Pro - Do a better job than what Popcorn Time and free download 1080p/720p, 4K/8K 3D Bluray movies, 360 degree VR videos from 300+ sites including YouTube and convert them for playing on iPads, etc. While Popcorn Time is not available in the App Store, this doesn't mean the end for iOS users to get it, but forces them to turn to other methods. Generally, there are two ways: using iOS Installer without jailbreak or using Cydia which needs you to jailbreak your iOS iPad first. 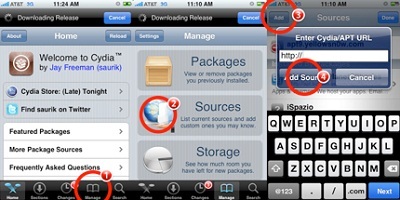 Below we will show you the download process without jailbreaking on iOS. 1. This download method involves a PC. If you have, open your browser and go to the website of Popcorn Time and download the iOS Beta. 2. Install the installer software prompted by the site on your PC. 3. Launch the iOS Installer program and connect iPad to computer. 5. A message will pop up to ask if you trust the computer, click trust. 6. Turn on Airplane mode on your device via the control center or settings and it will start installation. 7. Popcorn Time will be installed on iPad in a few minutes. 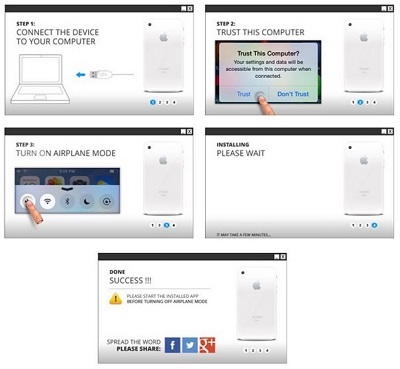 Then unlock your iPad and open the app without disabling Airplane mode. 8. When you open the app for the first time, a popup will be displayed asking whether you trust the developer that created the app, to which you tap Trust. Below we will talk about the Popcorn Time download process on a jailbroken iPad with Cydia. First, you will need to jailbreak your iPad. Don't know how? Jailbreak iOS iPad iPhone here. 1. Open Cydia, press the Sources tab and add the Popcorn Time repo in Cydia: add the URL of Popcorn Time in the Enter Cydia/APT URL. 2. Press Return to Cydia, go to sources and find the repo in the list and you can install the app on iPad here. Popcorn time Not Working on iPad? Solved! 2. There is sound on the app, but the screen is black on iPad. 3. 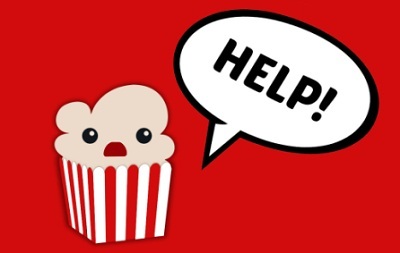 Movie streaming is simple with Popcorn, but no download option is provided. Which means users can't download movies on iPad to enjoy without Wi-Fi. 4. Popcorn Time crashes often. Although there are many tips on how to fix errors, the more once-for-all solution to solve popcorn Time not working is to find an alternative to Popcorn Time app for iPad and iPhone. For those who would like to watch HD movies on iPad without those Popcorn Time problems metioned above, there is a good alternative app: MacX YouTube Downloader. It is able to free download movies, TV shows, videos, music in 720p HD, 1080p HD or even 4K 8K UHD video quality from 300+ online sites like YouTube, Facebook, Dailymotion, Vevo etc in superfast speed. Then it will automatically add the output MP4 videos to iTunes Library for further playback on iPad Pro/mini 4, iPhone 6S/6S Plus/6 iPod etc with high quality and no internet connection. Free download this Popcorn Time alternative on Mac (El Capitan and Yosemite included). 1Find the movie/TV shows you want to download and click YouTube of the software. Add the URL to the Box. Or just click "analyze" to load the information. 3Specify output folder on your computer to save the output movie files. Click add to iTunes to automatically transfer the downloaded movies to iTunes for further playback on iPad iPhone. 4Click "Download Now" to start movies free download process fast and free. If you still prefer online movie streaming, here are various movie apps for iOS that works equivalently to Popcorn Time. Among the alternative apps, PlayBox for iOS is worth your try. PlayBox app is not only an excellent alternative to Popcorn Time, but also to MovieBox, ShowBox for iPad, iPhone, iPod Touch users to stream HD movies, TV shows, cartoon, animes without jailbreak.